Come enjoy our daily lunch deal menu where for just £6 you can have an El Capo burger, quesadilla, burrito or chilli with rice! 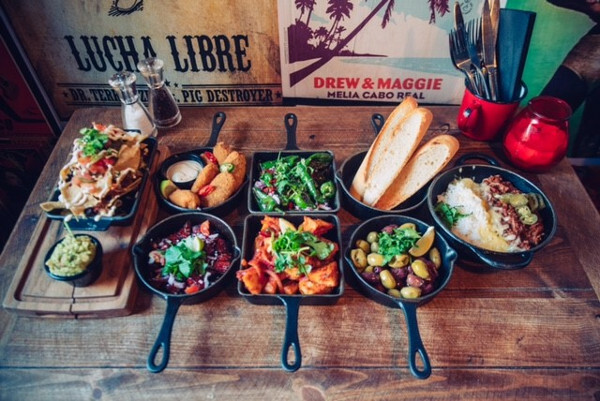 Alternatively you can enjoy 3 tapas dishes for £11. Available 1200-1600 all week.